Ashley KOMBO is a multifunction product 4 in 1: it is ash vacuum cleaner, wet & dry vacuum clenaer and and has blowing function. 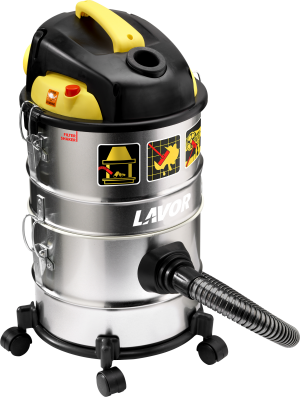 It is suitable to vacuum ash from any type of fireplace, stove or barbecue, dust in general and even liquids. Washable cartridge filter + special pre-filter for fine dust.